Observation - House sparrow - UK and Ireland. 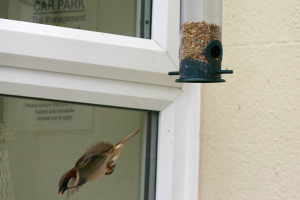 Description: House sparrow feeding on a bird feeder in grounds of B&B in Devon. House sparrow feeding on a bird feeder in grounds of B&B in Devon.